Founded in 1886 by Welsh settlers, Trelew boasts a rich history and cultural heritage. Start off your visit on the 11th (Tue): explore the striking landscape at Valle de Los Altares, then get a new perspective on nature at Museo Paleontologico Egidio Feruglio, and then try to win big at Casino Club Trelew. To see reviews, more things to do, photos, and other tourist information, read our Trelew trip planner . Nassau, Bahamas to Trelew is an approximately 19-hour flight. Due to the time zone difference, you'll lose 2 hours traveling from Nassau to Trelew. Traveling from Nassau in December, Trelew is a bit cooler at night with lows of 15°C. Finish your sightseeing early on the 11th (Tue) so you can travel to Ushuaia. Spend the 12th (Wed) exploring nature at Parque Nacional Tierra del Fuego. And it doesn't end there: explore the activities along Canal Beagle, take your sightseeing to a higher altitude at Glacier Martial, examine the collection at Museo Maritimo y del Presidio de Ushuaia, and stroll through Ushuaia Bay. To find other places to visit, maps, traveler tips, and more tourist information, read our Ushuaia road trip planning tool . Use the Route module to find suitable travel options from Trelew to Ushuaia. When traveling from Trelew in December, plan for colder days in Ushuaia, with highs around 13°C, while nights are little chillier with lows around 5°C. Finish your sightseeing early on the 14th (Fri) to allow enough time to travel to El Calafate. Spend the 15th (Sat) exploring nature at Parque Nacional Los Glaciares. Next up on the itinerary: head outdoors with Enjoy!, shake up your sightseeing with a climbing tour, hunt for treasures at Paseo de Los Artesanos, and take a stroll through Av del Libertador. To find other places to visit, maps, reviews, and tourist information, use the El Calafate vacation planning app . Fly from Ushuaia to El Calafate in 2 hours. Alternatively, you can do a combination of car and ferry; or take a bus. Traveling from Ushuaia in December, expect somewhat warmer with lows of 15°C in El Calafate. Cap off your sightseeing on the 17th (Mon) early enough to catch the shuttle to Los Glaciares National Park. 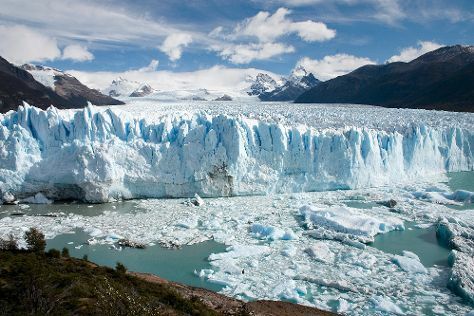 On the 18th (Tue), take in the dramatic natural features at Glaciar Seco and then take in the dramatic natural features at Perito Moreno Glacier. For photos, where to stay, reviews, and tourist information, use the Los Glaciares National Park vacation planner . You can take a shuttle from El Calafate to Los Glaciares National Park in 2 hours. 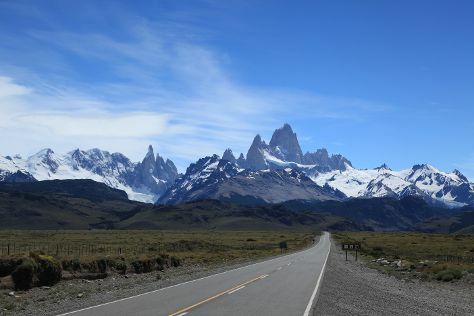 In December, daytime highs in Los Glaciares National Park are 16°C, while nighttime lows are 15°C. Finish your sightseeing early on the 18th (Tue) so you can take a bus to El Chalten. On the 19th (Wed), dedicate a day to the elevated beauty of Cerro Fitz Roy. There's much more to do: appreciate the extensive heritage of Laguna Torre, explore the striking landscape at Glaciar Huemul, contemplate the waterfront views at Laguna Capri, and take in the awesome beauty at Sendero Loma del Pliegue Tumbado. To see reviews, where to stay, other places to visit, and more tourist information, refer to the El Chalten trip maker . Take a bus from Los Glaciares National Park to El Chalten in 4.5 hours. Alternatively, you can do a combination of shuttle and bus. Finish up your sightseeing early on the 21st (Fri) so you can travel to San Carlos de Bariloche. San Carlos de Bariloche is known for nature, winter sports, trails, historic sites, and adventure. Your plan includes some of its best attractions: hit the slopes at Catedral Alta Patagonis, contemplate the geological forces at Cerro Tronador, take your sightseeing to a higher altitude at Cerro Otto, and trek along Circuito Chico. For more things to do, where to stay, reviews, and tourist information, refer to the San Carlos de Bariloche trip tool . Traveling by combination of bus and flight from El Chalten to San Carlos de Bariloche takes 7 hours. Alternatively, you can drive; or take a bus. 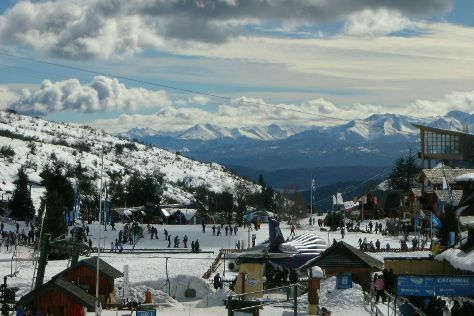 In December, daytime highs in San Carlos de Bariloche are 24°C, while nighttime lows are 6°C. Finish up your sightseeing early on the 24th (Mon) so you can travel to Salta. Start off your visit on the 25th (Tue): take in the spiritual surroundings of Iglesia San Francisco, don't miss a visit to Plaza 9 de Julio, then contemplate in the serene atmosphere at Cathedral of Salta, then take an in-depth tour of MAAM - Museo de Arqueologia de Alta Montana de Salta, and finally admire the landmark architecture of Centro Cultural America. Here are some ideas for day two: steep yourself in history at San Bernardo Convent, then take in the awesome beauty at Cerro San Bernardo, then don't miss a visit to Iglesia Nuestra Senora de La Candelaria de La Vina, and finally browse the eclectic array of goods at Mercado Artesanal Tradicional. To see maps, other places to visit, ratings, and other tourist information, refer to the Salta travel route builder app . You can fly from San Carlos de Bariloche to Salta in 6 hours. Alternatively, you can do a combination of flight, taxi, and bus; or drive. 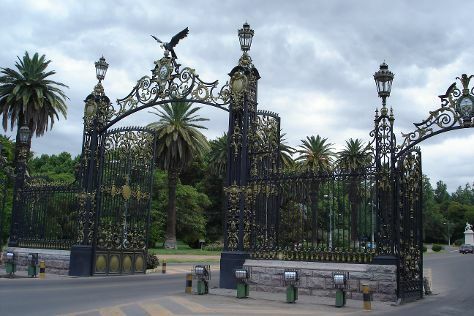 In December, Salta is somewhat warmer than San Carlos de Bariloche - with highs of 33°C and lows of 19°C. Finish your sightseeing early on the 26th (Wed) to allow enough time to travel to Iguazu National Park. On the 27th (Thu), identify plant and animal life at Jardin de los Picaflores and then admire the sheer force of Iguazu Falls. Get ready for a full day of sightseeing on the next day: look for all kinds of wild species at Guiraoga, admire the sheer force of Salto San Martin, and then admire the sheer force of Salto Bernabe Mendez. To see photos, ratings, traveler tips, and other tourist information, refer to the Iguazu National Park trip builder tool . Do a combination of flight and shuttle from Salta to Iguazu National Park in 3 hours. Alternatively, you can drive; or take a bus. Plan for a bit warmer nights when traveling from Salta in December since evenings lows in Iguazu National Park dip to 23°C. Finish up your sightseeing early on the 28th (Fri) so you can travel to Mendoza. 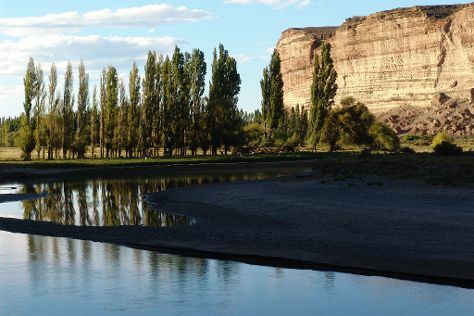 Change things up with these side-trips from Mendoza: San Rafael (Los Reyunos Dam & Canon del Atuel). The adventure continues: tour the pleasant surroundings at Parque General San Martin, do a tasting at Bodega Ruca Malen, take in panoramic vistas at Terraza Jardin Mirador, and make a trip to Plaza Independencia. For photos, reviews, where to stay, and tourist information, you can read our Mendoza trip tool . Do a combination of shuttle and flight from Iguazu National Park to Mendoza in 7 hours. Alternatively, you can do a combination of shuttle, flight, and bus; or do a combination of bus and car. Traveling from Iguazu National Park in December, expect little chillier with lows of 17°C in Mendoza. Finish your sightseeing early on the 31st (Mon) so you can travel to Buenos Aires. Buenos Aires is known for nightlife, historic sites, museums, parks, and shopping. Your plan includes some of its best attractions: don't miss a visit to Recoleta Cemetery, admire the masterpieces at Museum of Latin American Art of Buenos Aires, take a stroll through Puerto Madero, and admire the landmark architecture of El Ateneo Grand Splendid. To find maps, reviews, more things to do, and more tourist information, go to the Buenos Aires sightseeing planner. Traveling by flight from Mendoza to Buenos Aires takes 4.5 hours. Alternatively, you can do a combination of bus and flight; or take a bus. While traveling from Mendoza, expect a bit cooler days and a bit warmer nights in Buenos Aires, ranging from highs of 33°C to lows of 23°C. Finish your sightseeing early on the 6th (Sun) to allow enough time to travel back home.